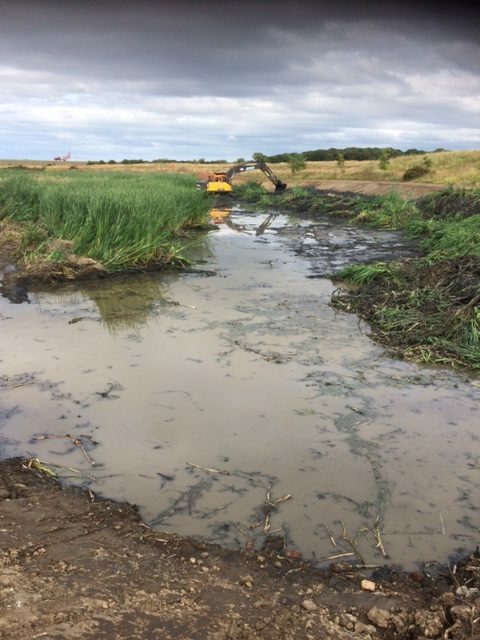 All surface water from the airport terminal, runway and surrounding grassland outfalls into a series of lagoons. 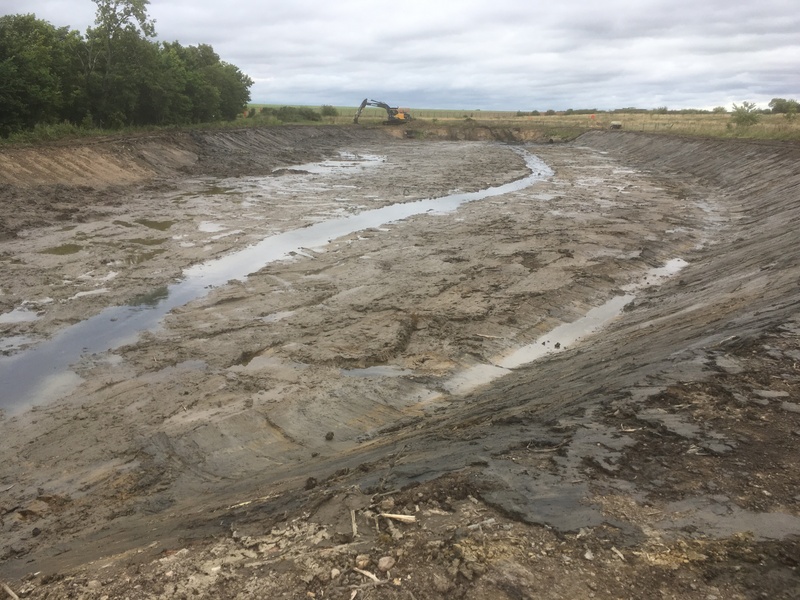 The lagoons act as attenuation prior to the water being disposed either in the adjacent water course or during the winter, into a rising main to the NWA sewer system. 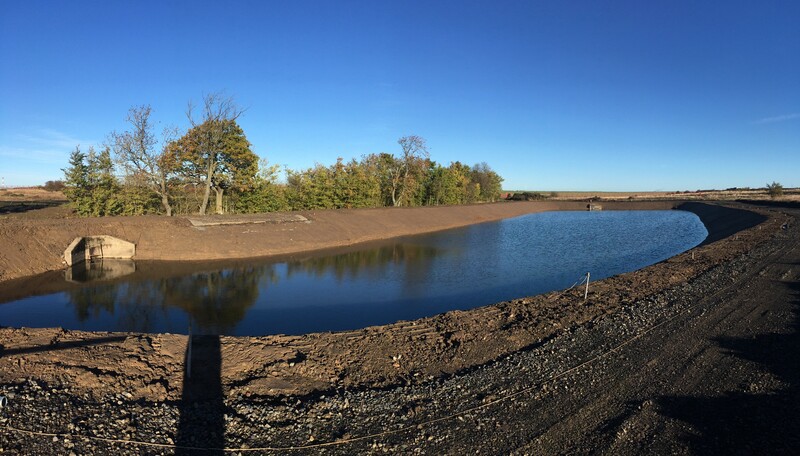 The South lagoon is the oldest lagoon and had never been lined during installation. 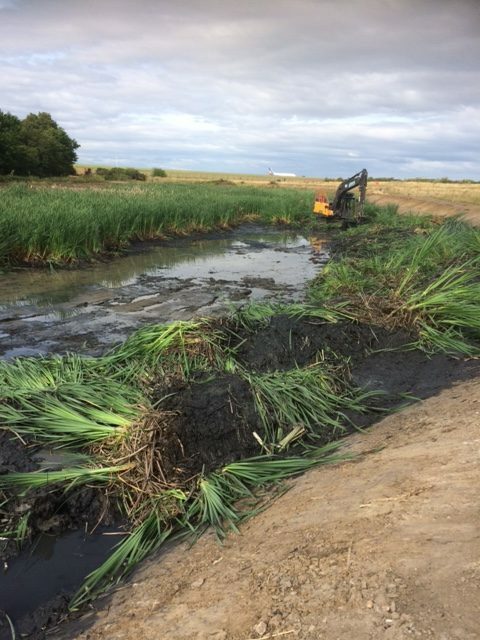 Our scope of works was to remove all bulrushes, shrubs, vegetation and approx. 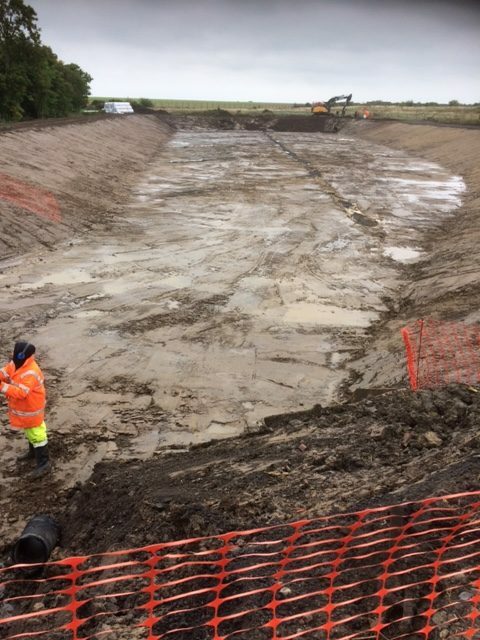 600mm of silt. 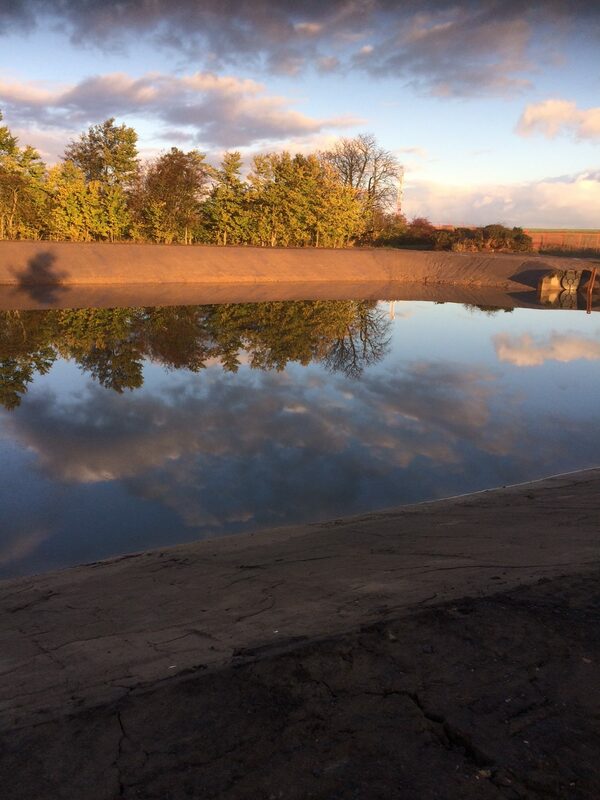 As well as increasing the attenuation volume of the lagoon by deepening it by 500mm. 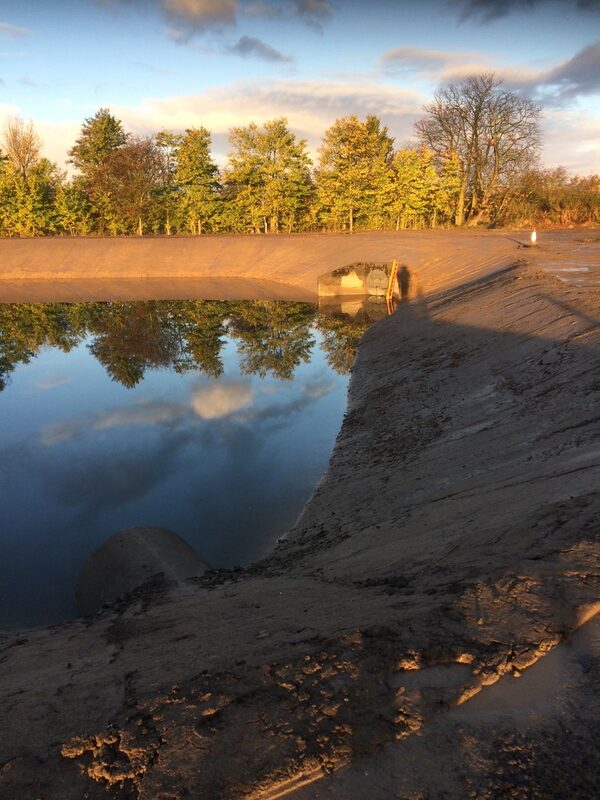 Once deepened we could install a new drainage system. 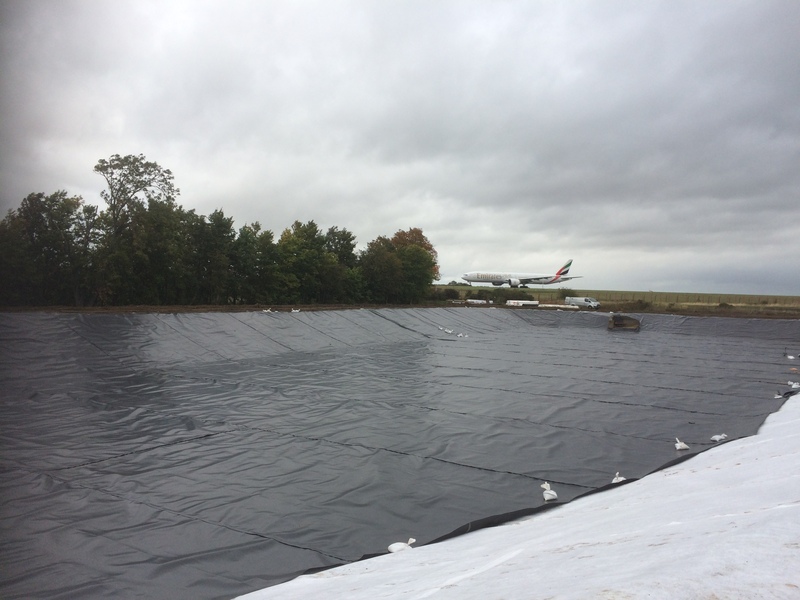 Supply and lay a new liner that consisted of a layer of Geotextile with a 1mm HDPE liner on top. 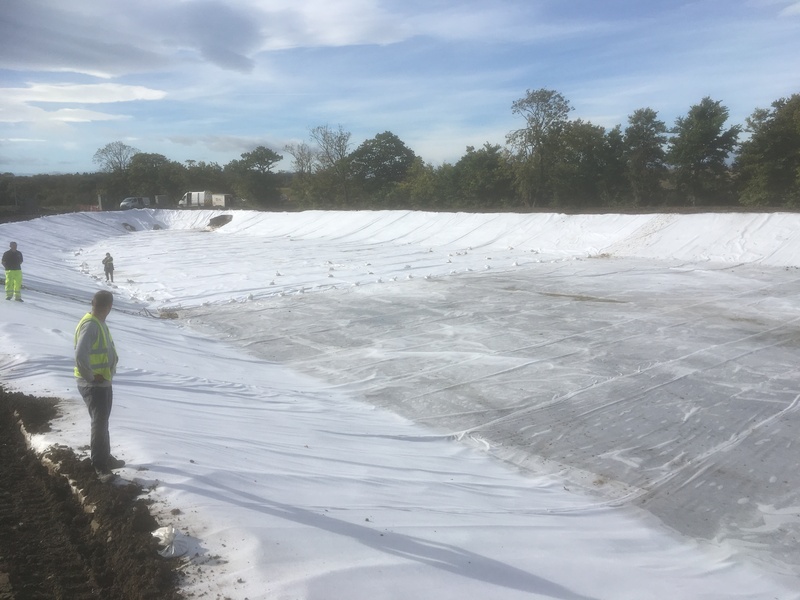 All capped with 250mm of subsoil to finish. 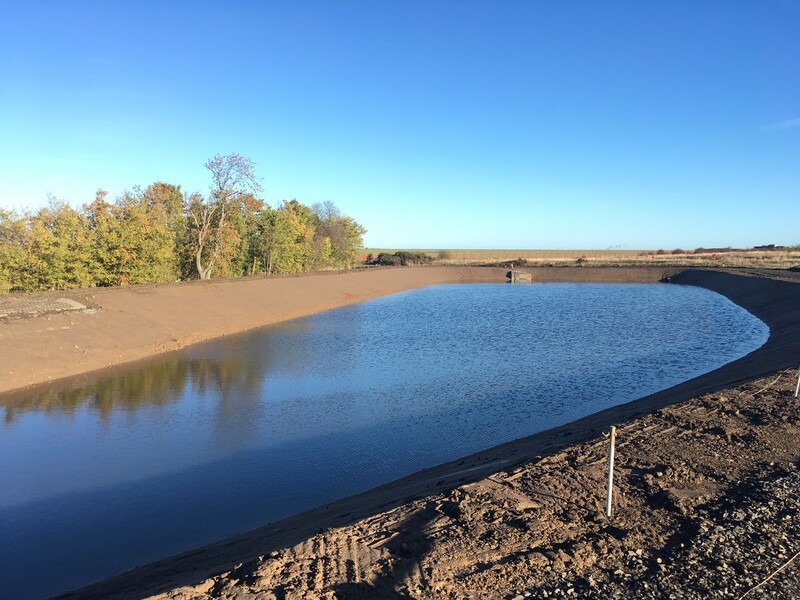 We also installed a concrete spillway and new concrete steps to access the lagoon.